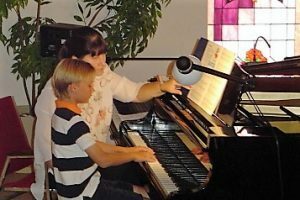 You Are Here: Home » Do I need to have a piano to start piano lessons? 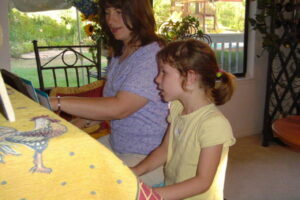 Yes, it is necessary that you or your child have a piano, digital piano or a keyboard at home. It is very important that the piano student can sit and practice their assigned pieces on a regular basis. This is necessary for the student’s progress and motivation. While buying a piano is better in the long run, it is a commitment that some parents are not ready to make. The next best thing is to rent a piano. This way you can rent month to month at very reasonable rates that are usually between $35 and $75 per month depending on the piano. Where can I buy or rent a piano? Should I buy a piano from a private party? Buying a piano from a private party can be very risky. It may seem like a great deal, but I would certainly not recommend it unless you have a piano tuner-technician who can come with you and check it out. Used pianos can have a number of problems inside that will not be obvious to you, but that can make them worthless. Rust, significant wear of the hammers, a hairline crack in a vital part of the piano to name just a few. I would recommend buying or renting a used piano from a local piano dealer. These pianos are already checked for any serious problems, come with a warranty, and probably with one or two free tunings which are well worth the slightly higher price. Your piano will be delivered to your home by professional piano movers which are very important in order to protect your investment. I have had a positive personal experience with The Piano Warehouse, and can highly recommend them. If you are considering buying a digital piano, you are not alone. For many families buying a digital piano is the better choice. Digital pianos generally cost less, do not need to be tunned, generally, take less space, and are much easier to move. When buying a digital piano there are several features you should look for, like weighted keys, hammer action, polyphony, etc. I would recommend some that I found on Amazon.com that I like because of their features and a good price point. We are so very fortunate to have had Rosie as a piano teacher for our daughter, Alison. You could say that Alison grew up musically in Rosie's living room having... read moreWe are so very fortunate to have had Rosie as a piano teacher for our daughter, Alison. You could say that Alison grew up musically in Rosie's living room having taken lessons for almost 8 years! 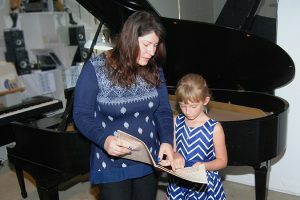 Rosie provided the perfect level of guidance and instruction for Alison, encouraging her to work on pieces that sometimes were difficult to master. But practice and hard work made the music come together. The lessons learned in Rosie's living room were more than piano lessons, but life lessons as well.